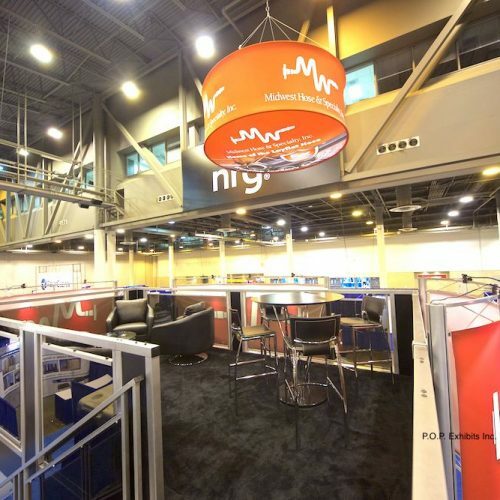 These are just a few examples of the projects we’ve completed over the last almost 25 years. 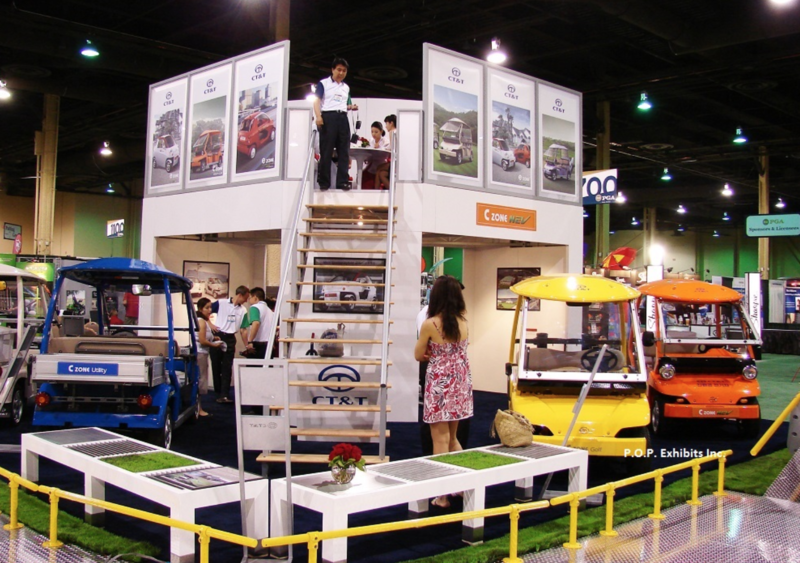 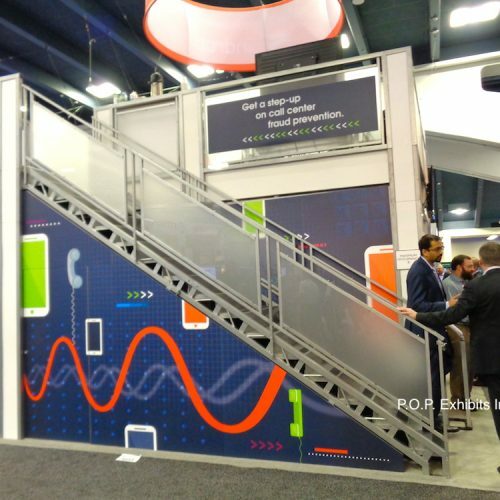 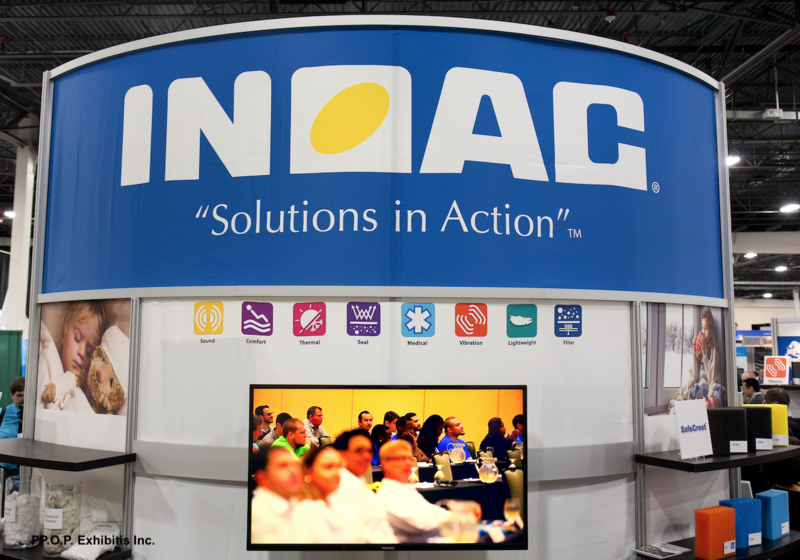 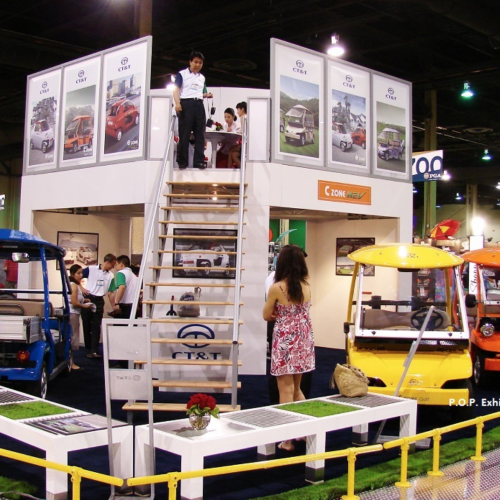 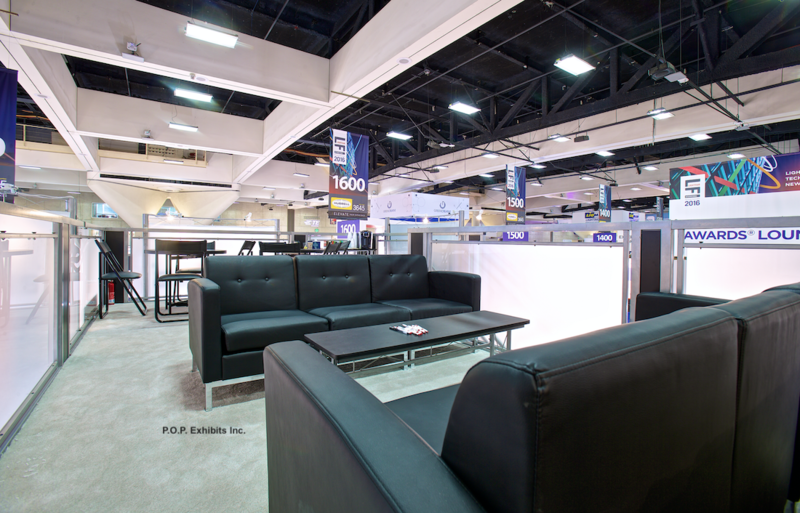 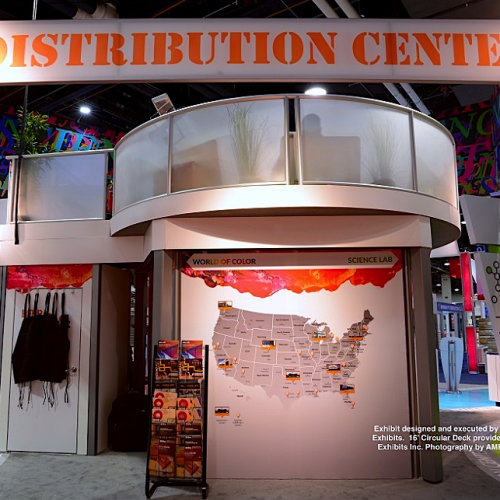 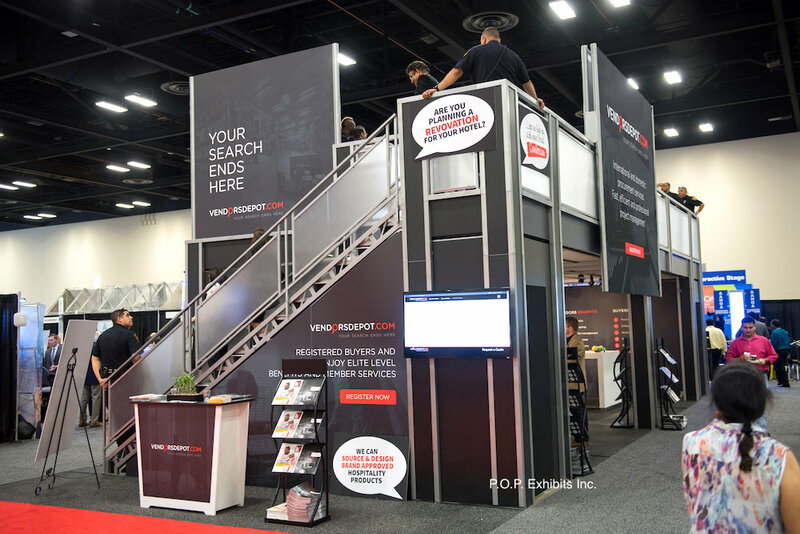 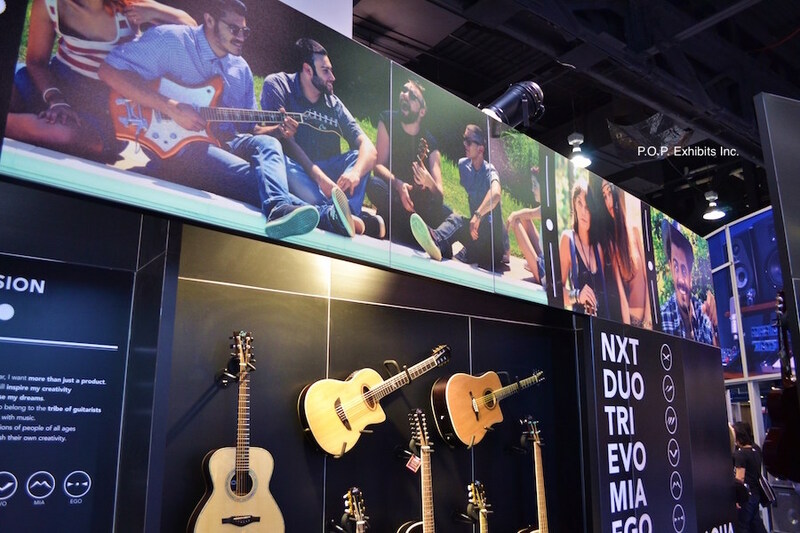 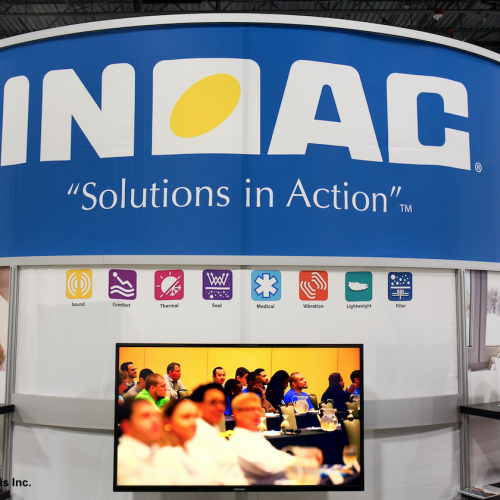 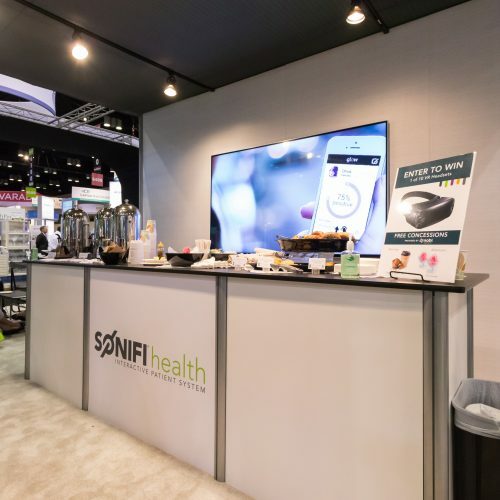 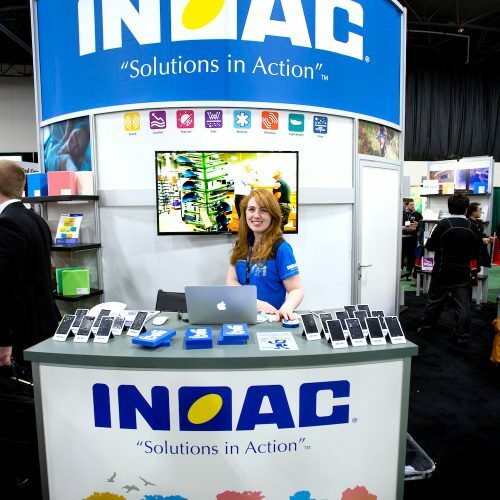 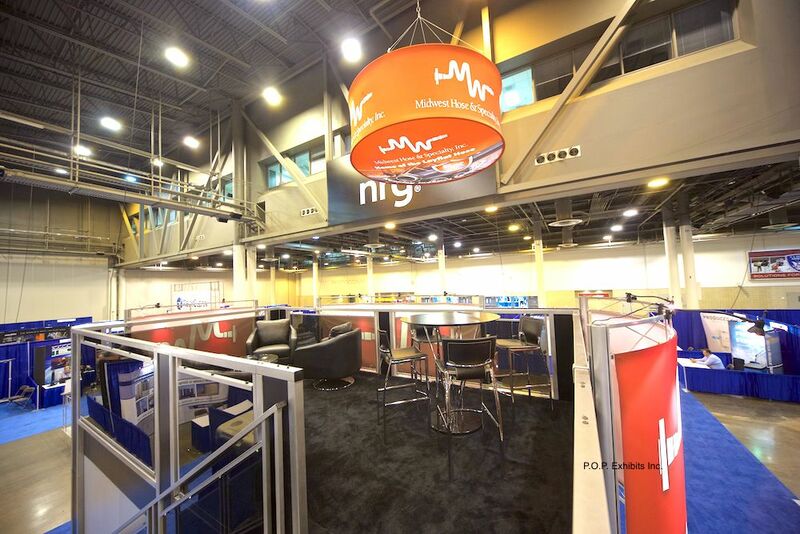 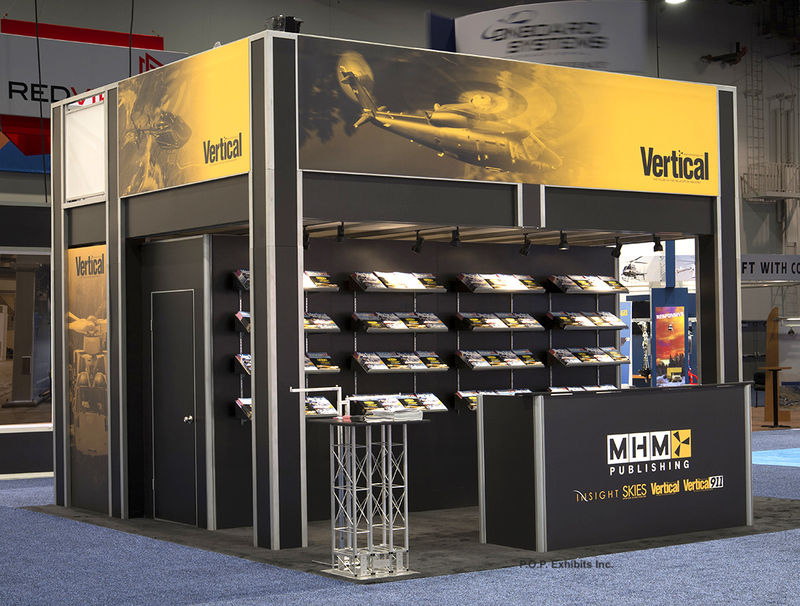 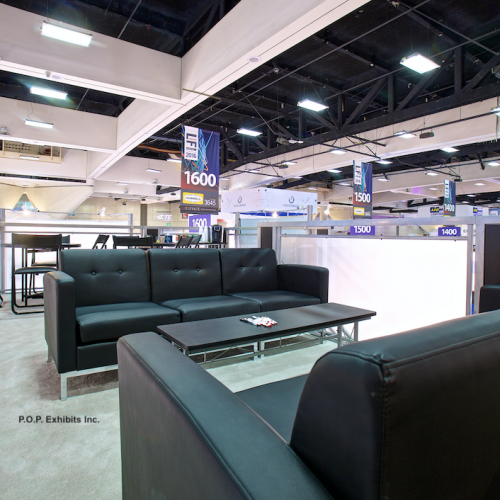 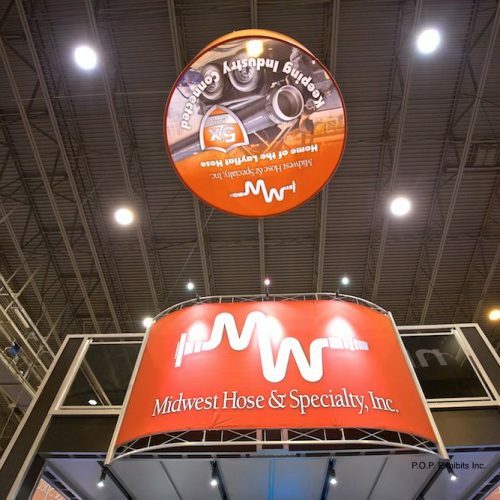 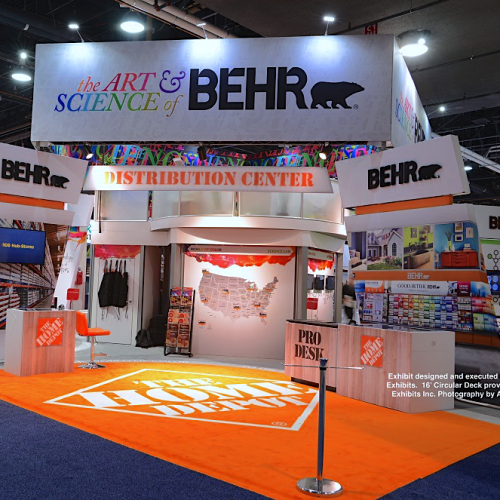 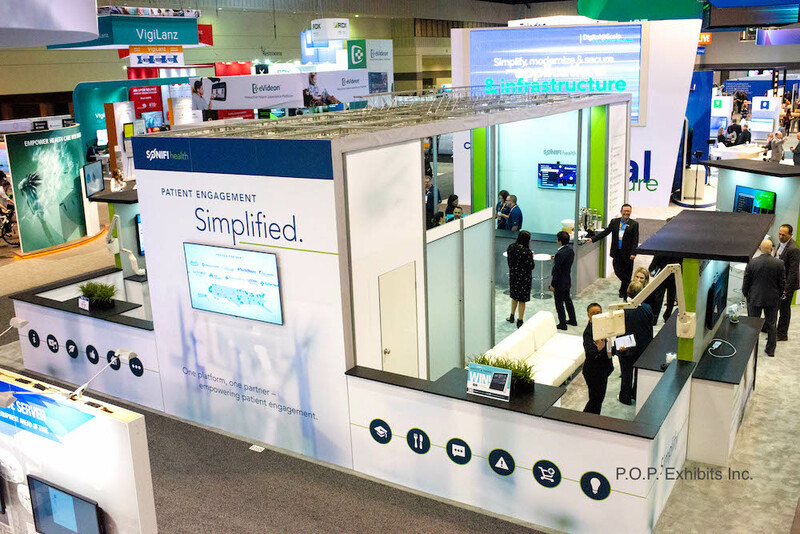 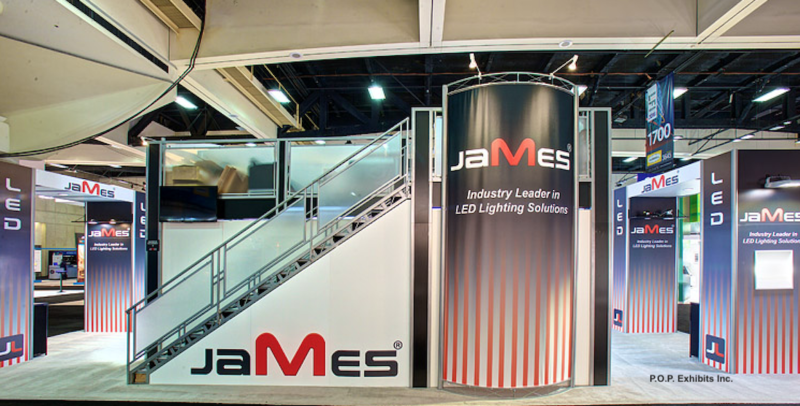 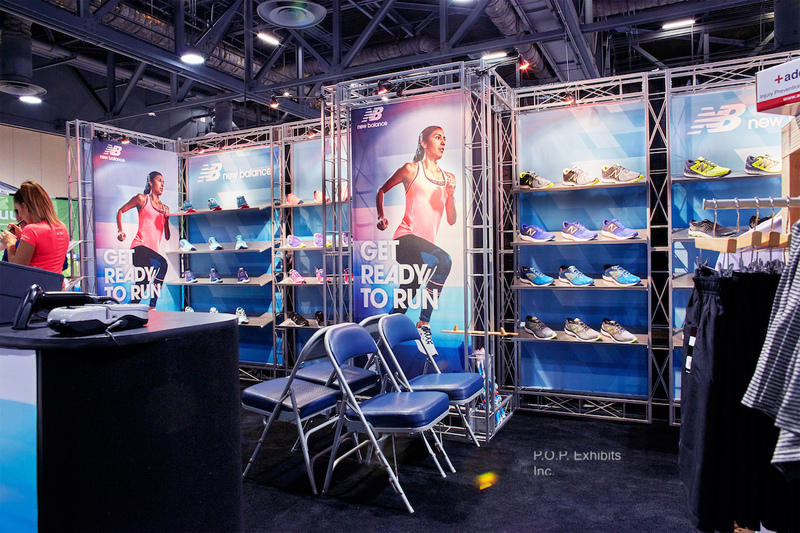 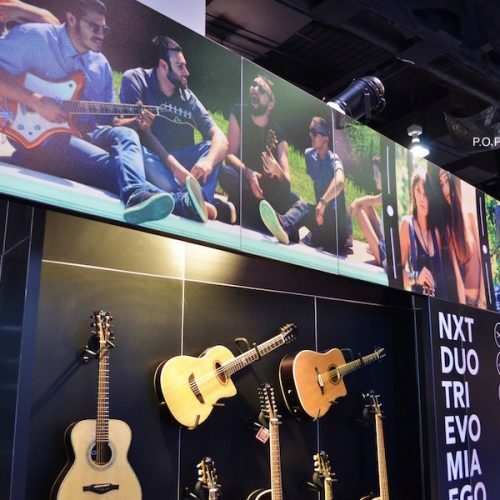 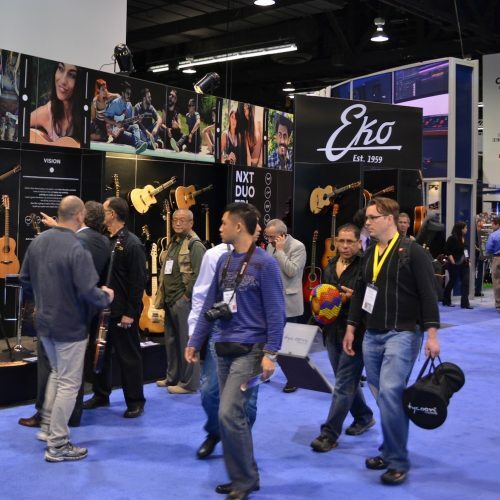 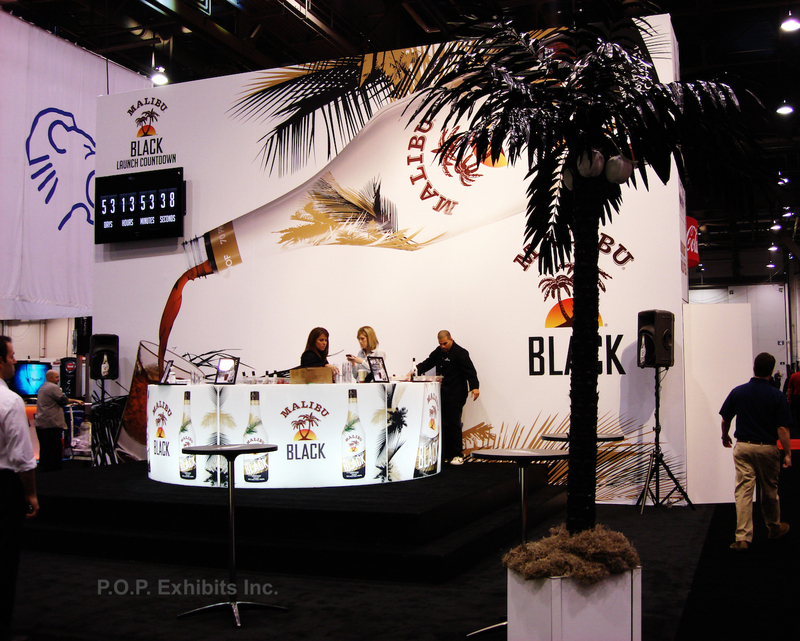 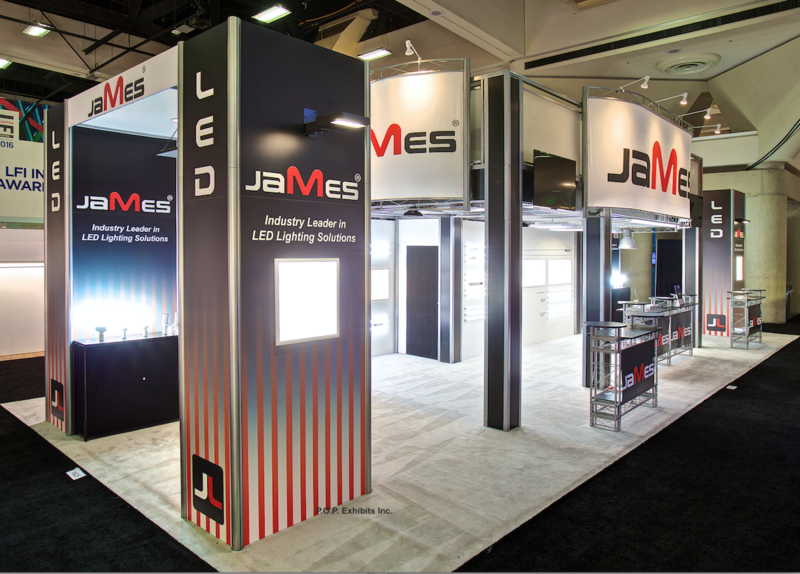 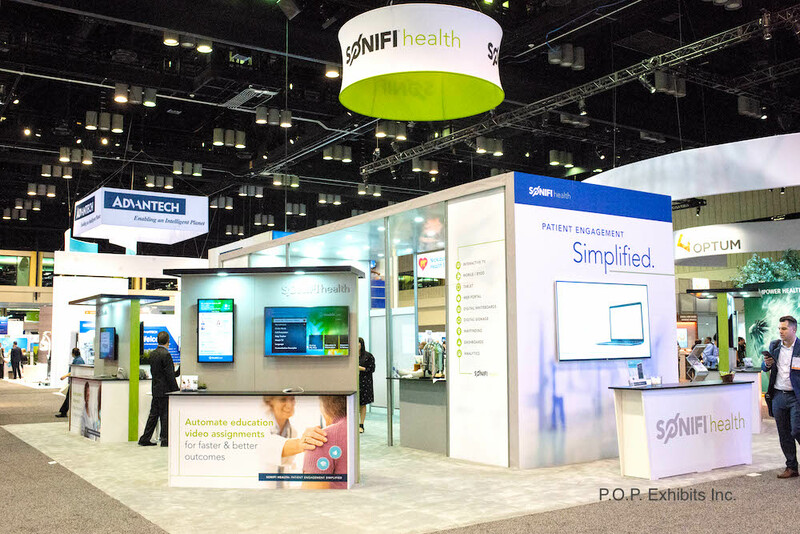 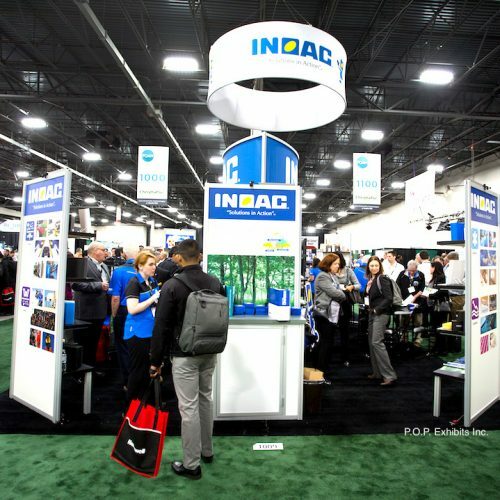 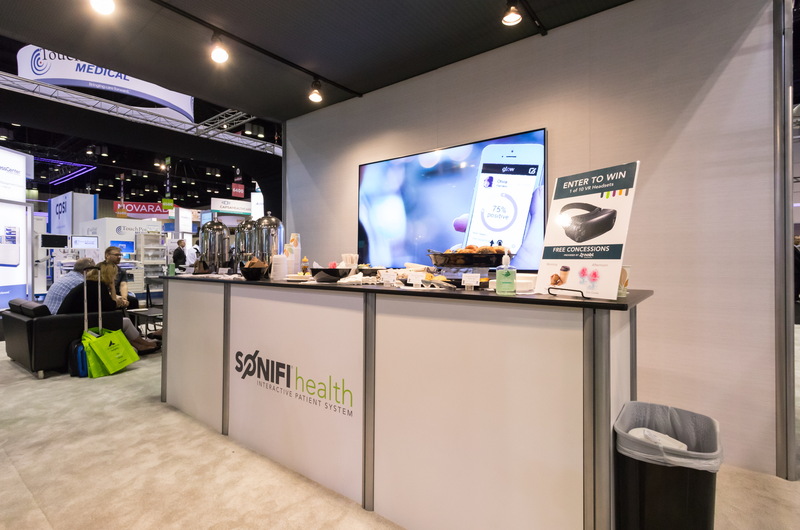 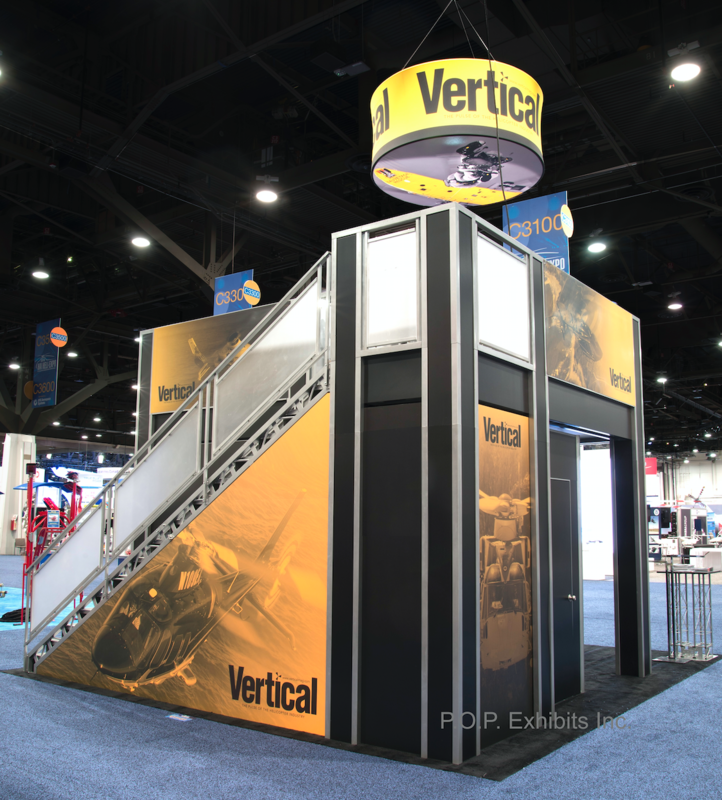 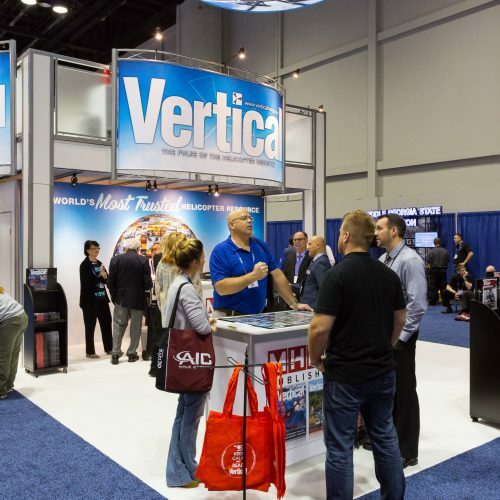 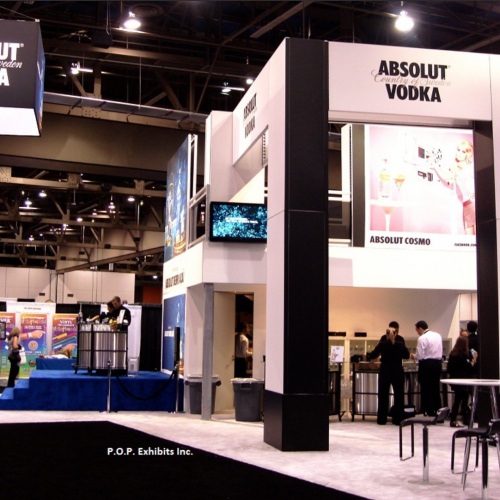 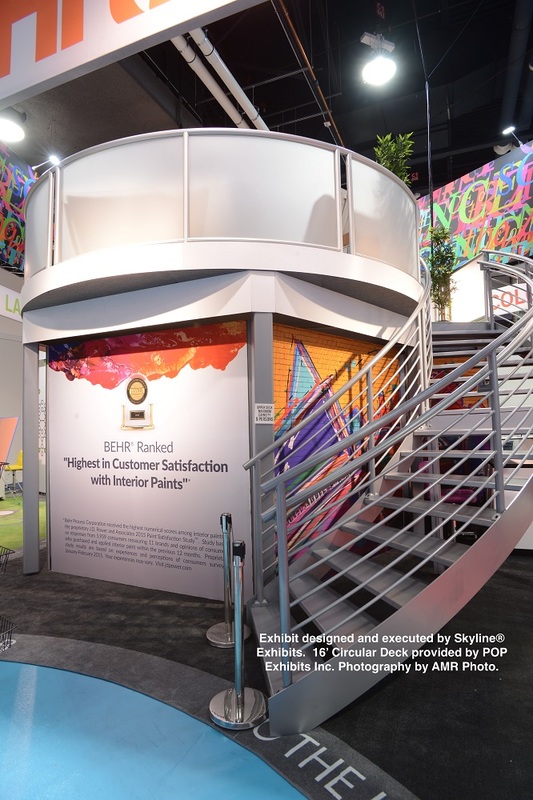 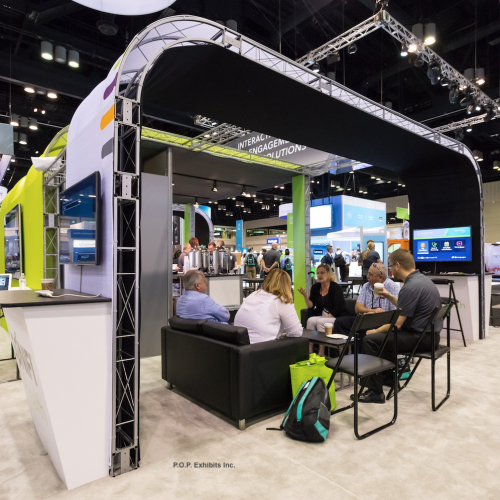 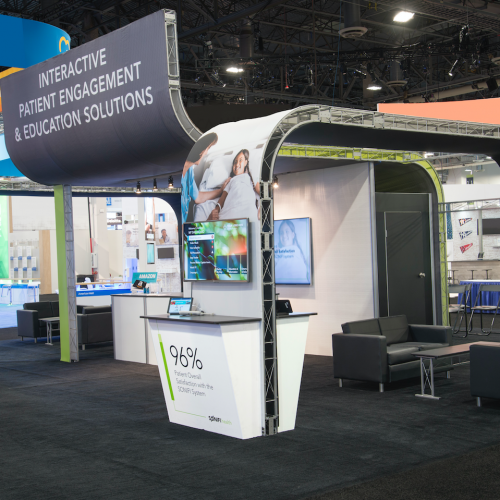 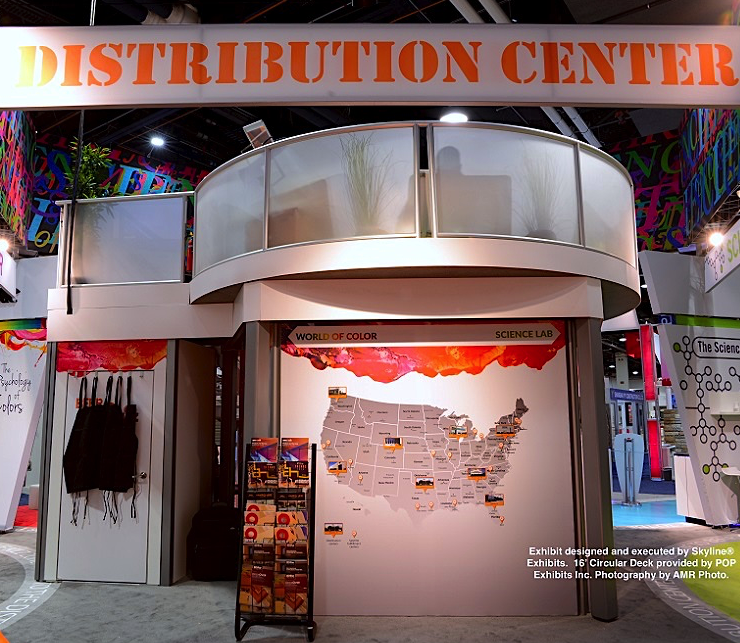 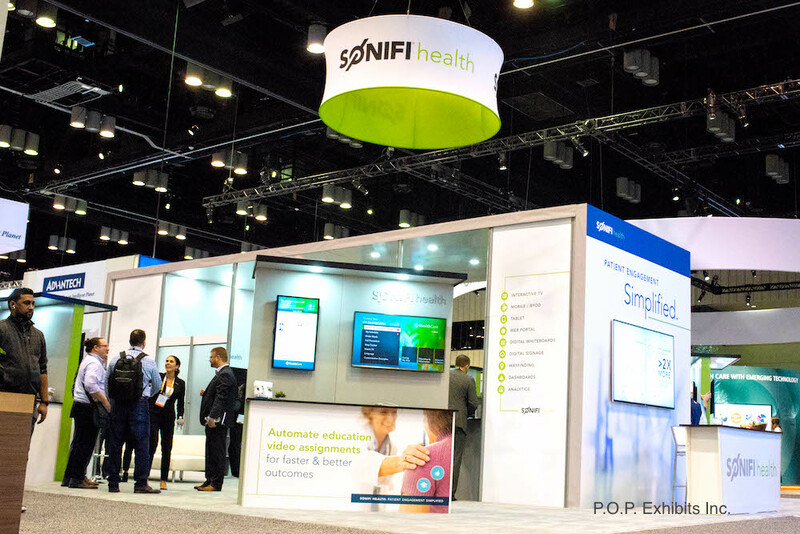 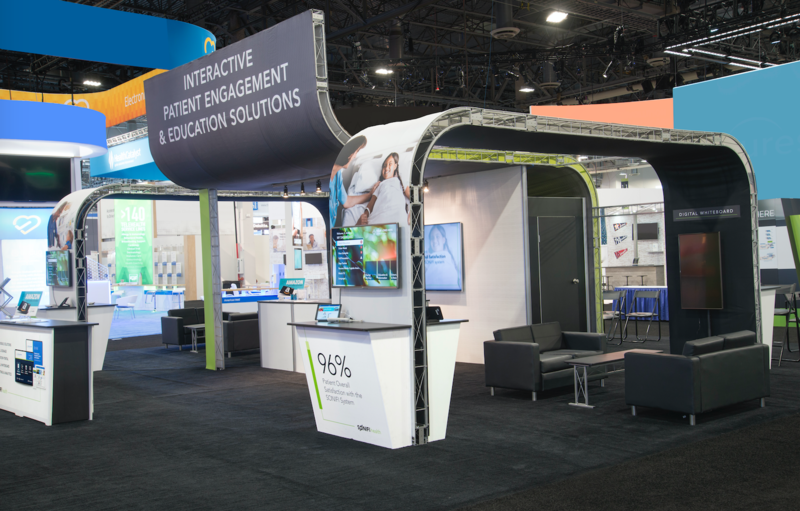 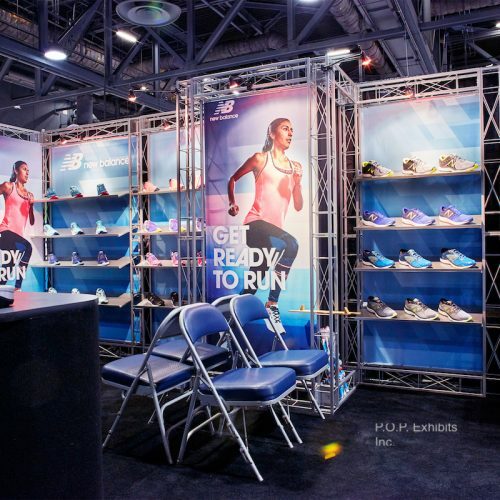 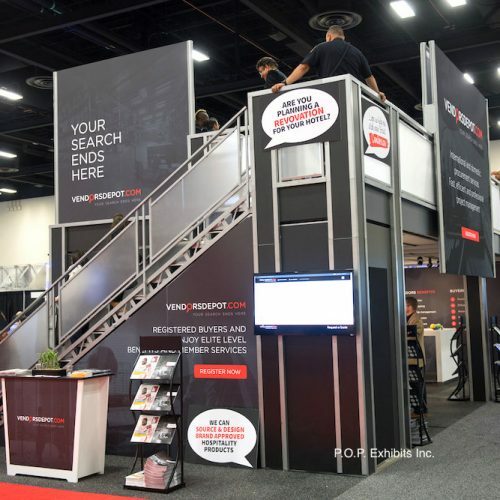 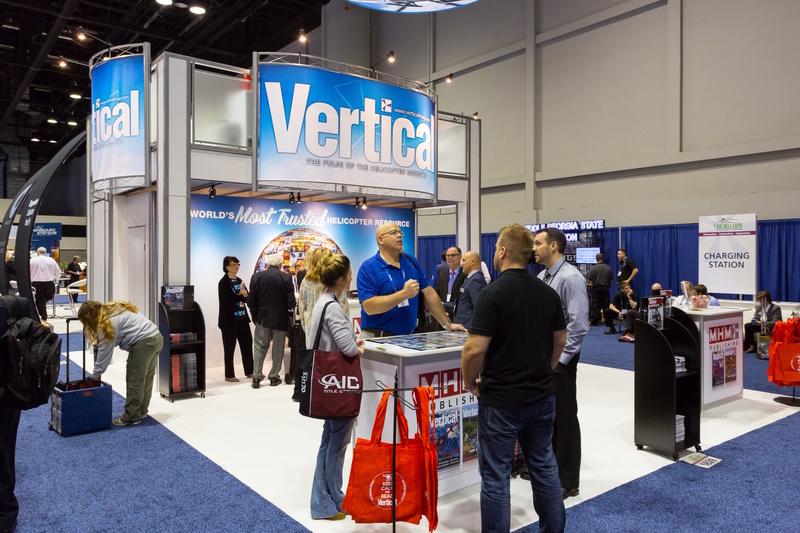 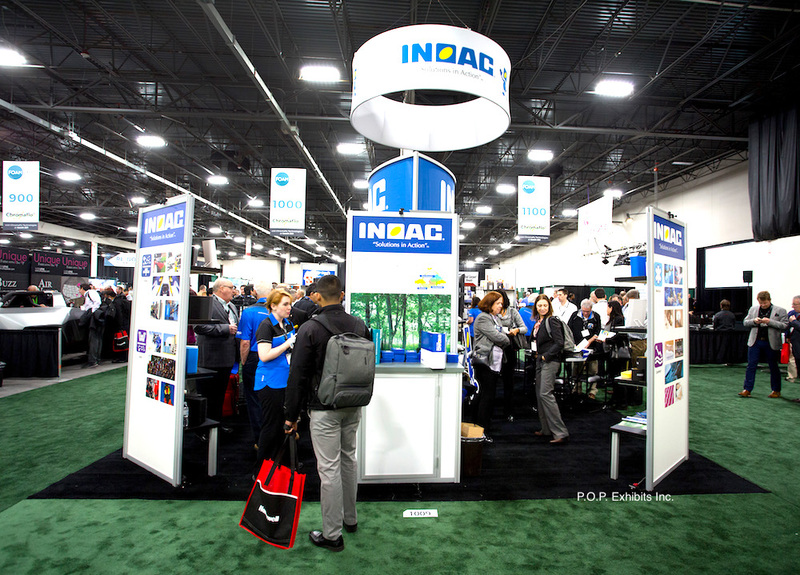 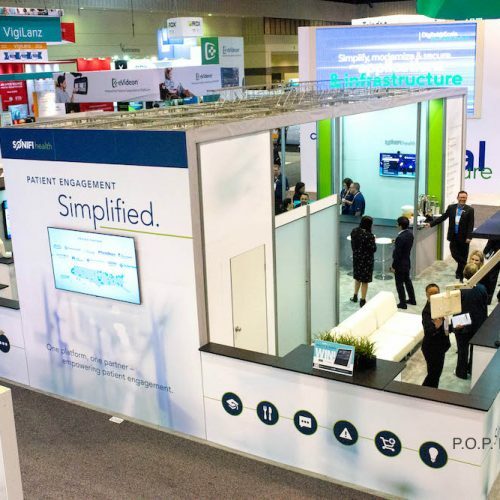 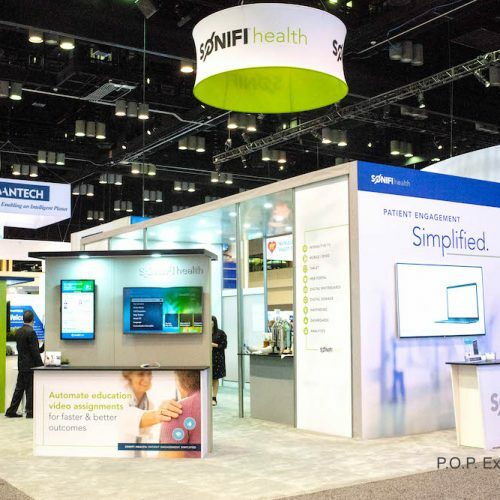 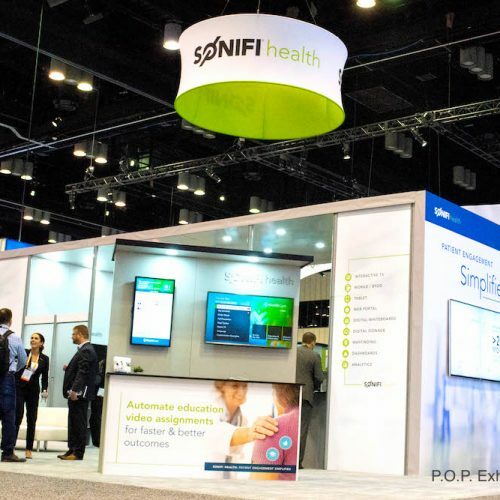 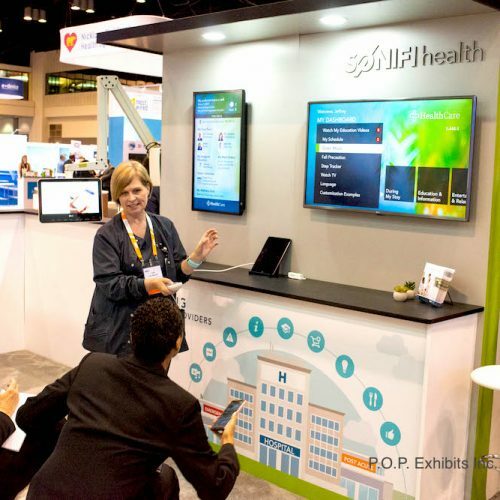 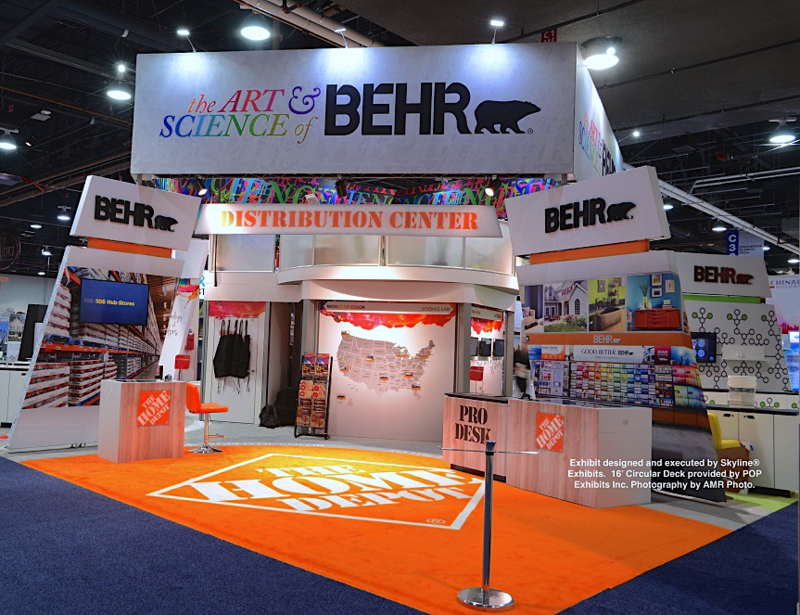 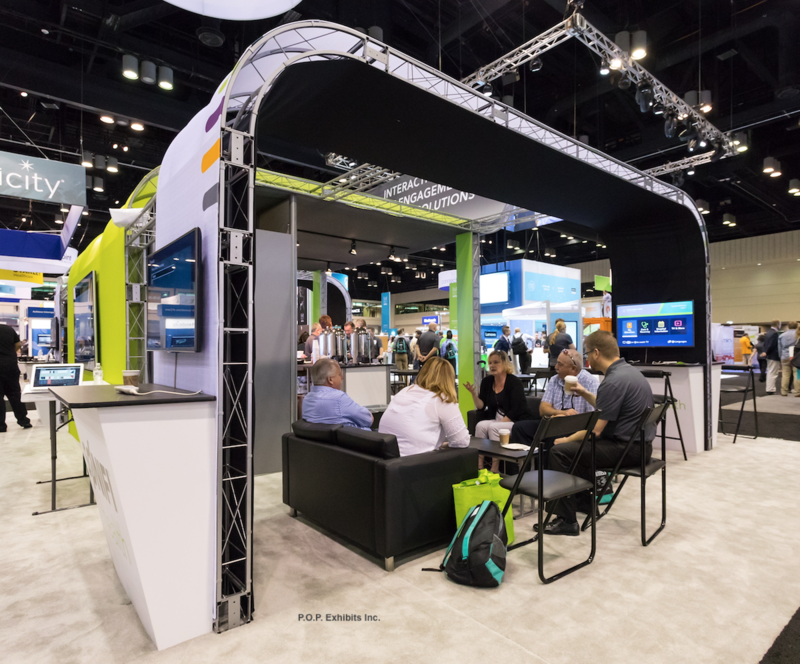 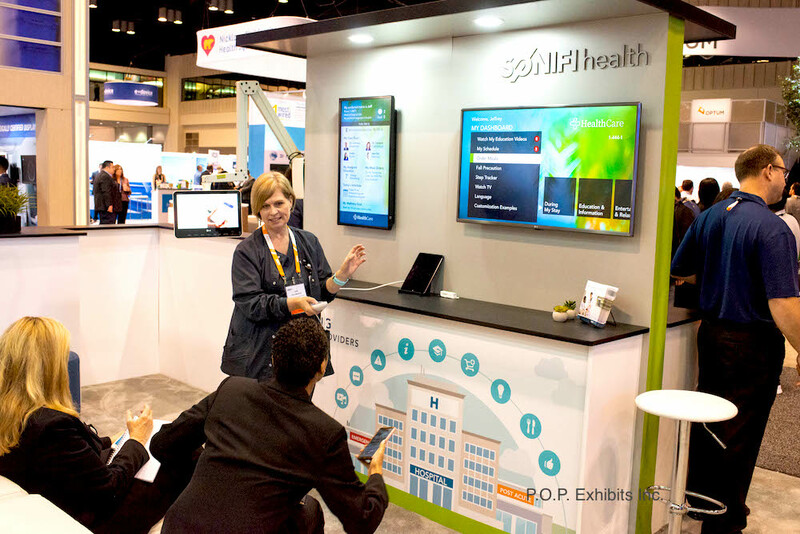 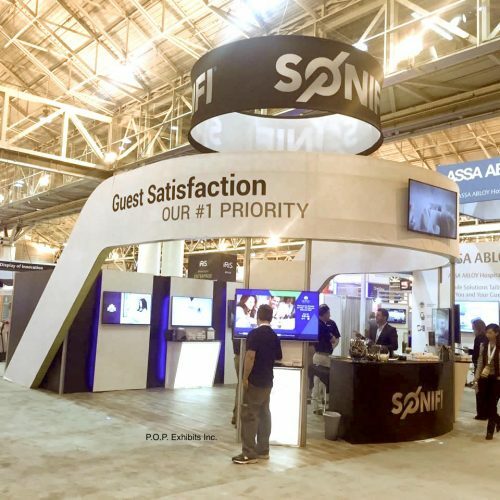 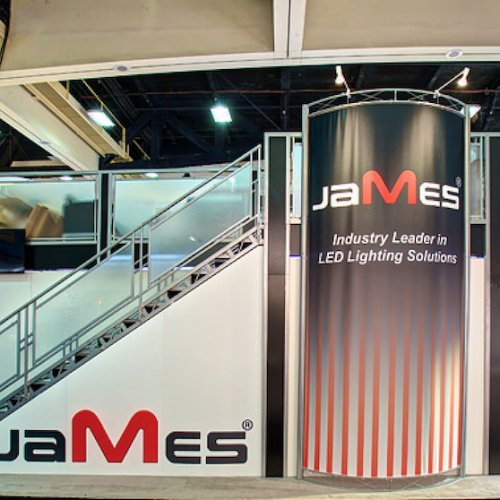 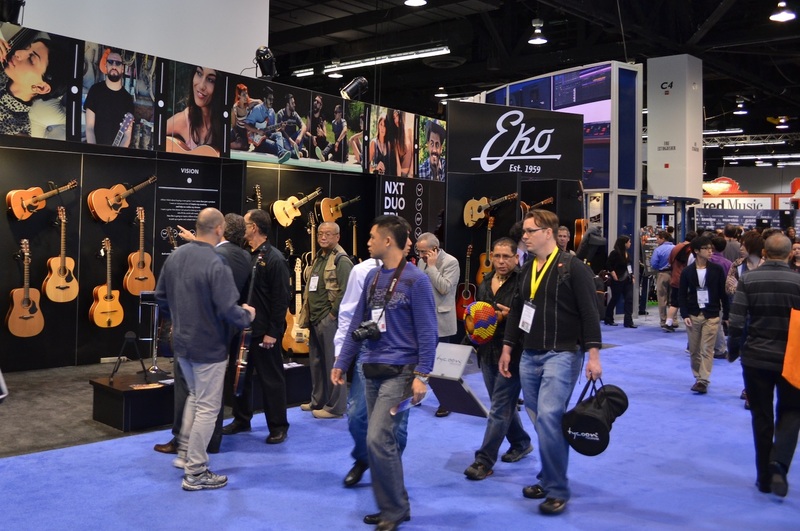 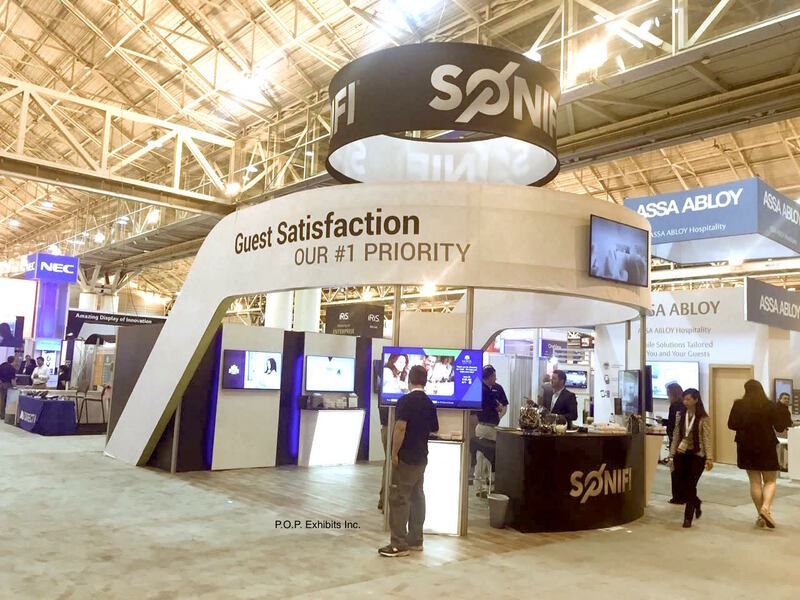 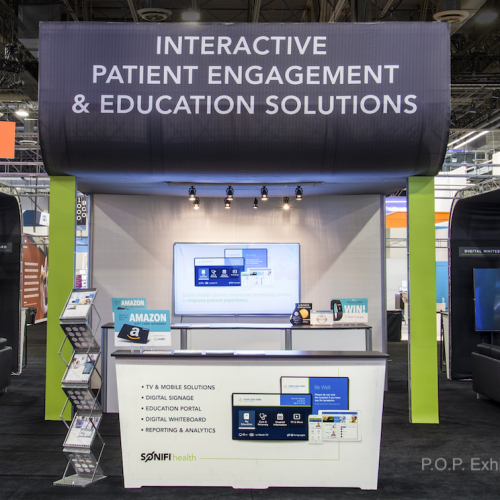 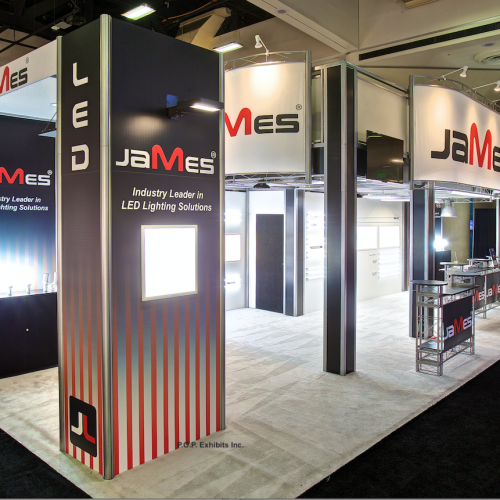 While photographed here are primarily double deck exhibits and custom island exhibits, we’ve also provided countless beautiful inline displays for shows nationwide. 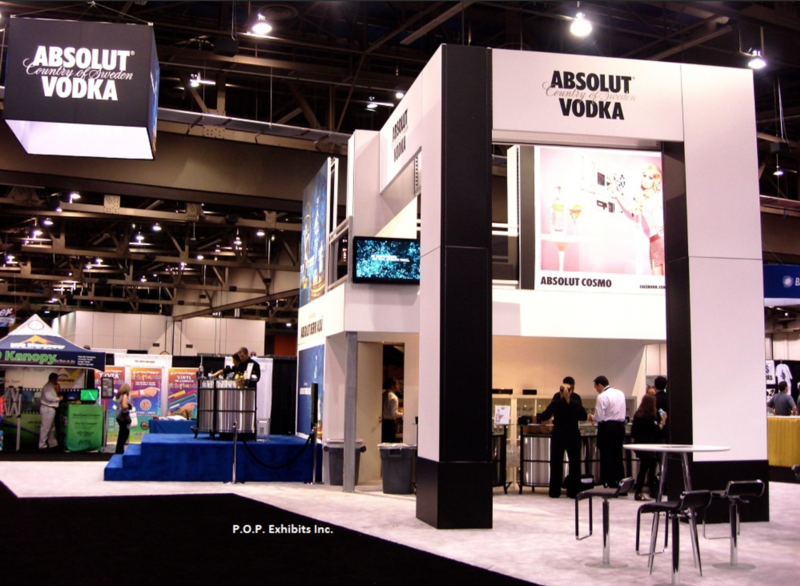 We work hard to meet the needs and budgets of our clients. 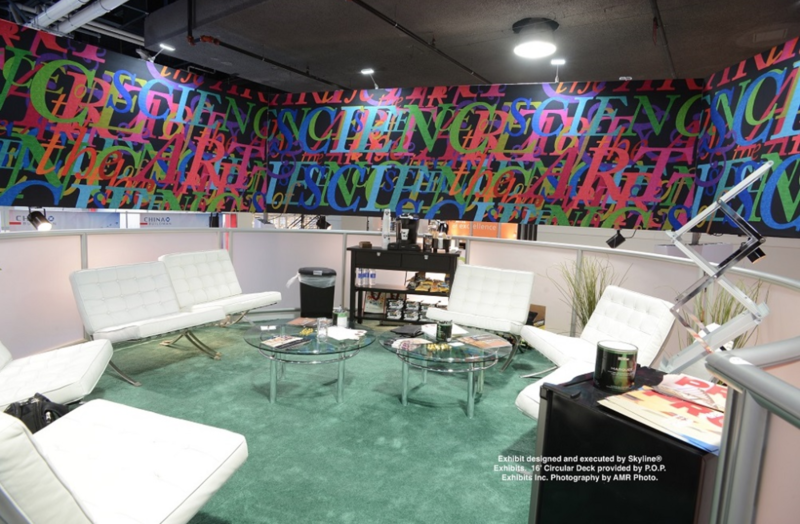 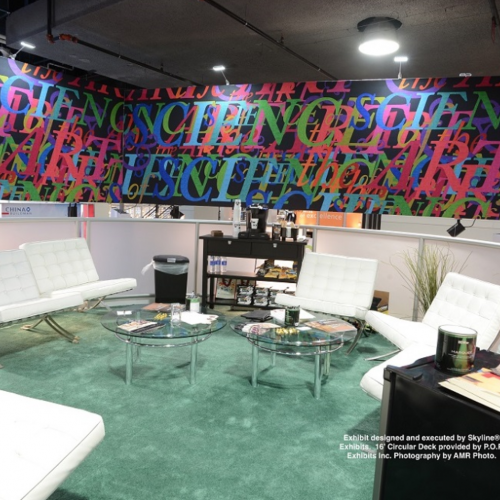 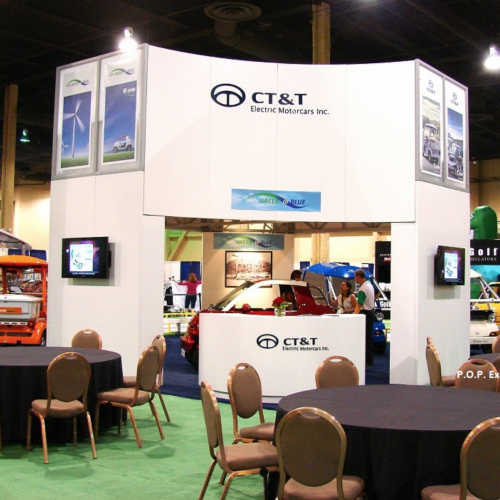 This custom 30′ x 30′ exhibit rental includes workstations with monitors, lounge presentation areas, ample signage opportunities and a large storage room. 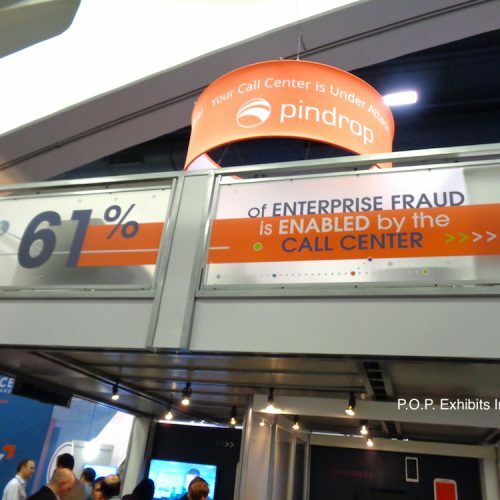 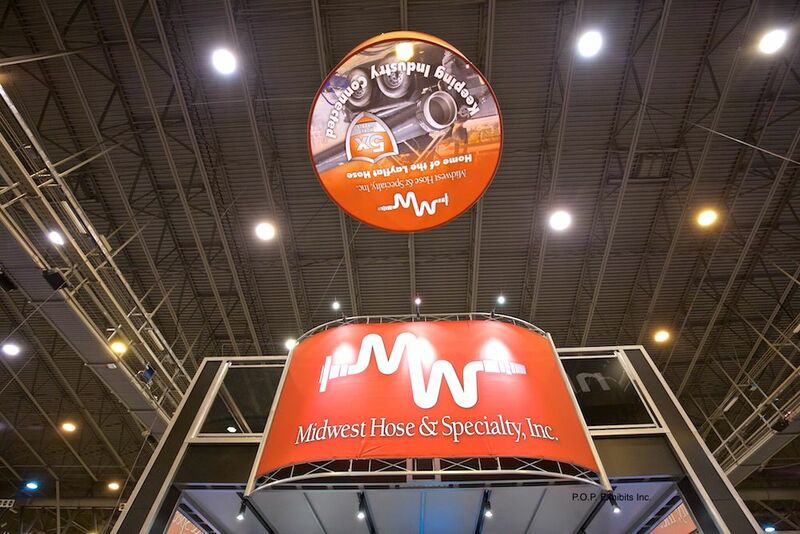 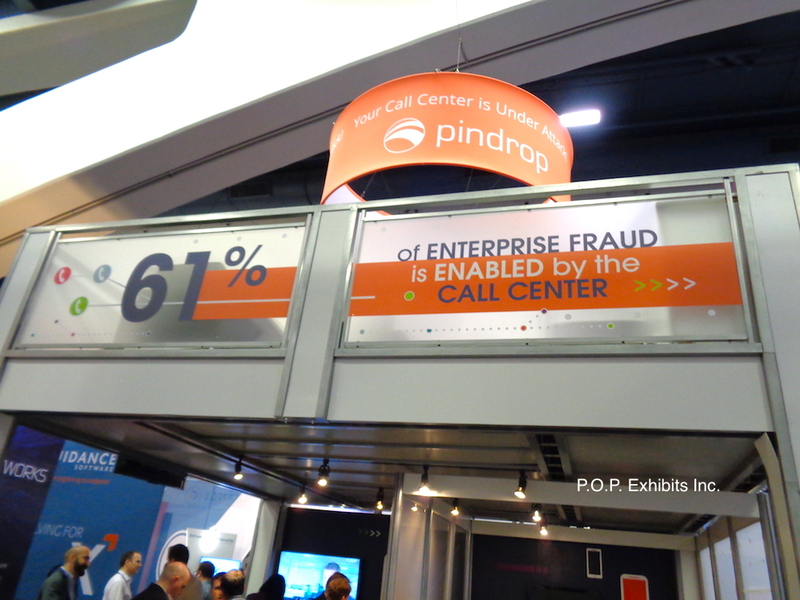 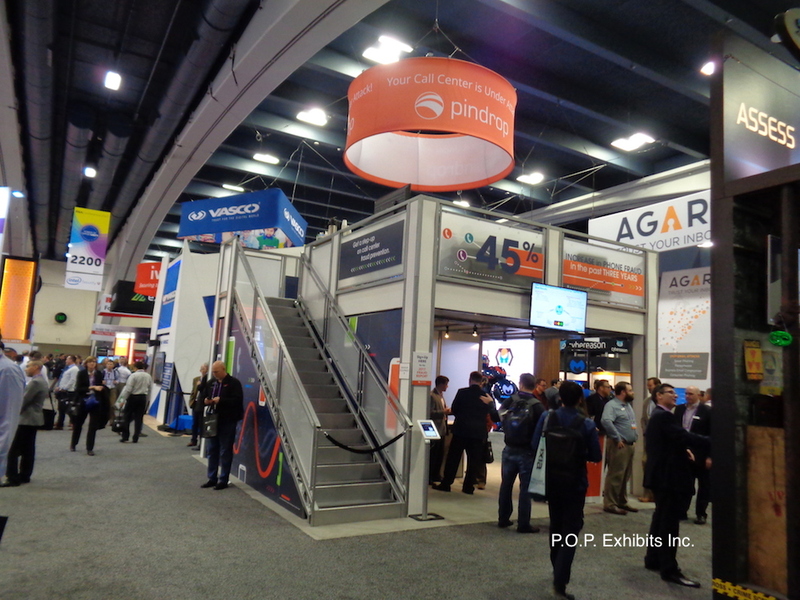 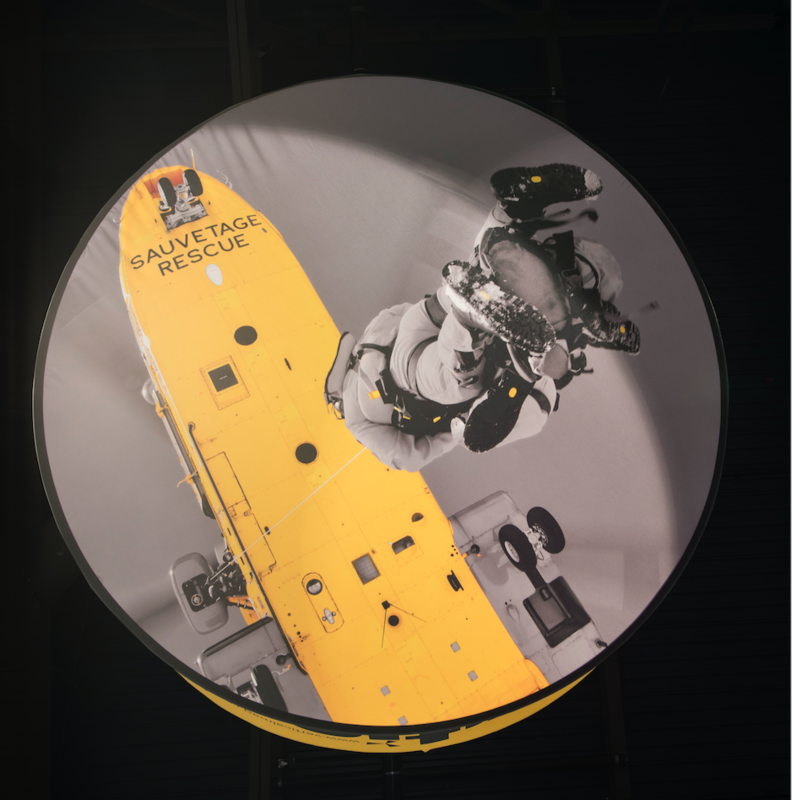 The circular overhead hanging sign makes them easy to find on the show floor. 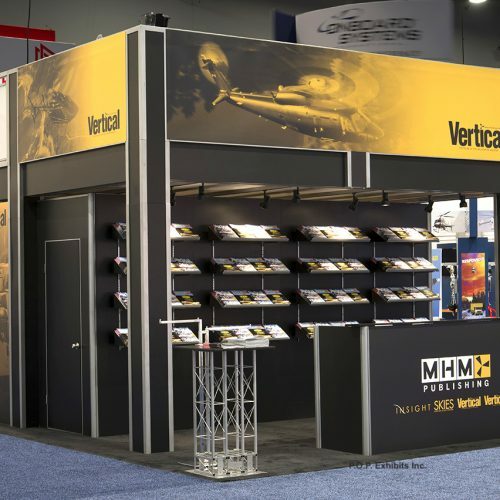 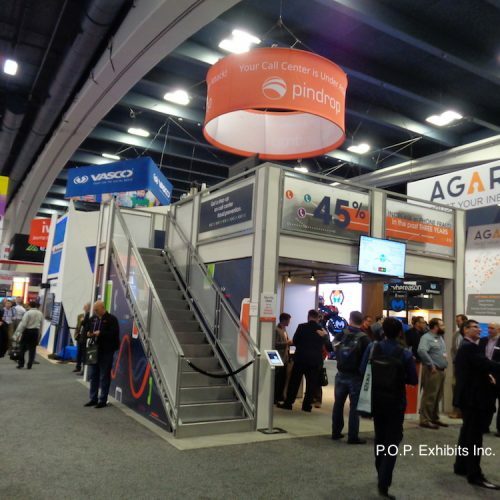 This project included a beautiful circular Two-Story Exhibit and multiple custom features including the flooring, overhead sign and structural components. 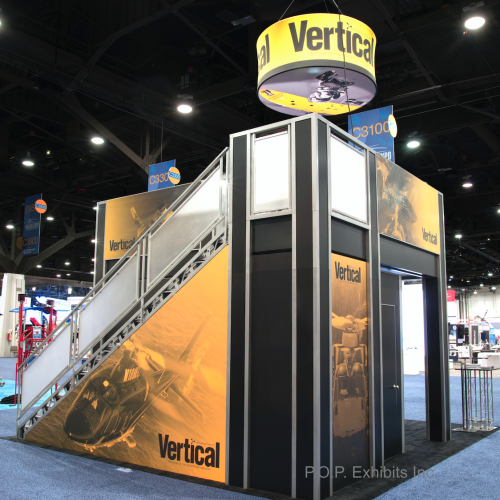 We worked in conjunction with SDOC. 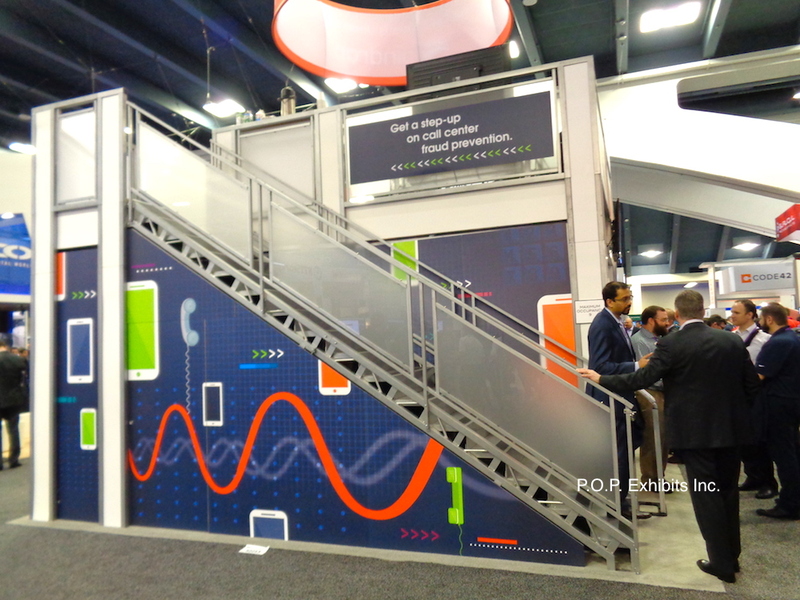 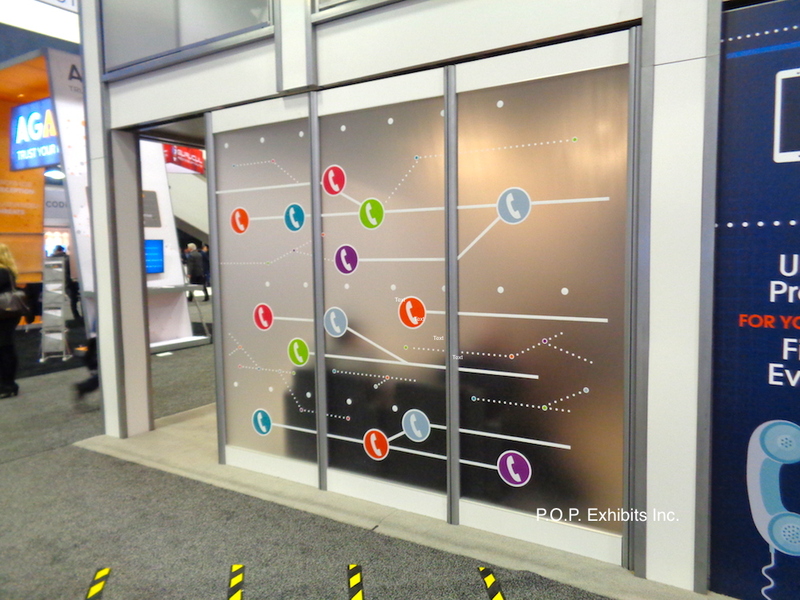 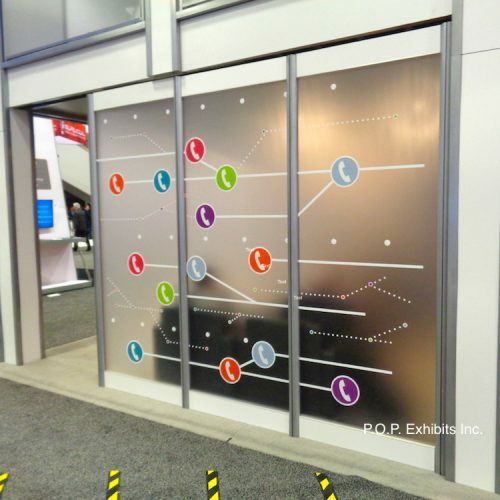 The backwall under a double deck exhibit can be used for a number of things. 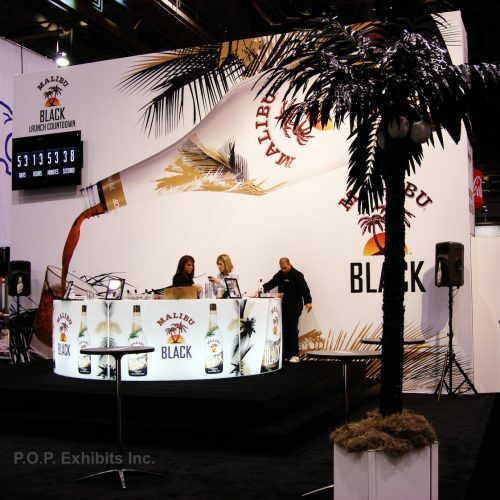 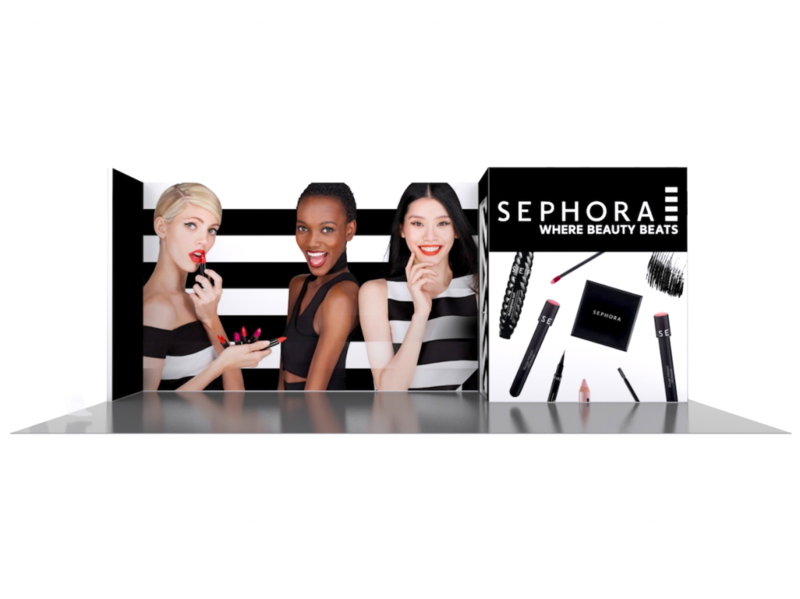 It functions well for high-impact graphics, literature, product display, or presentation area. 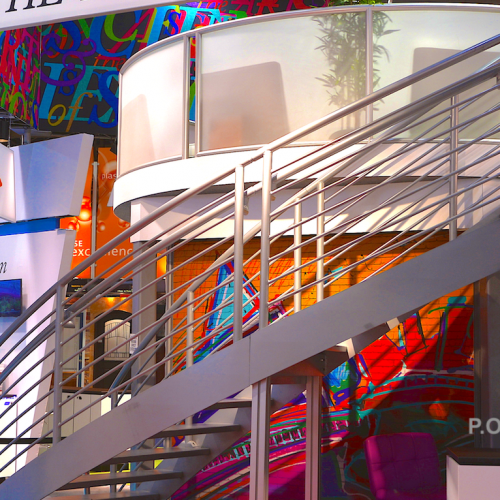 The upstairs railings can either be solid graphics, frosted plex, or frosted plex with graphics. 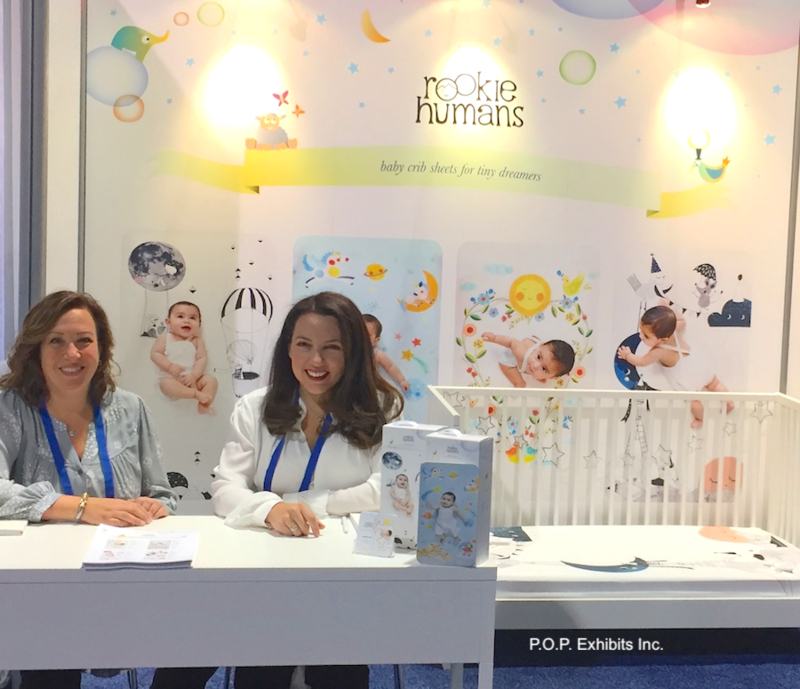 There are a ton of possibilities! 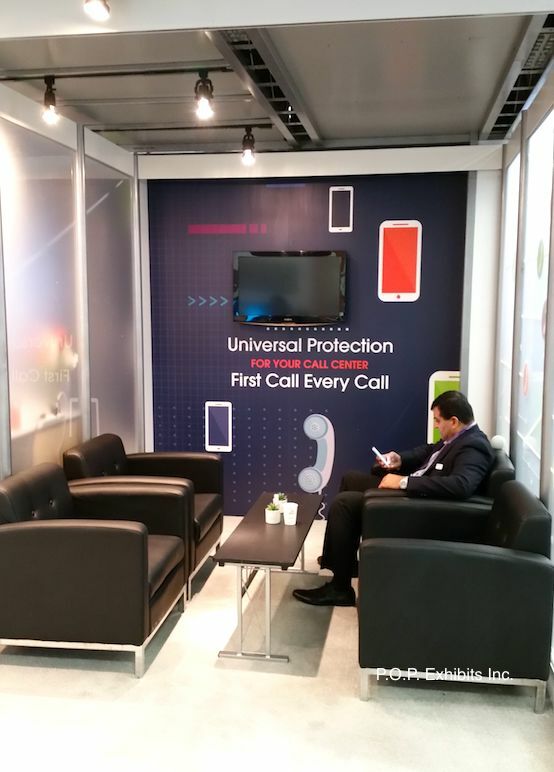 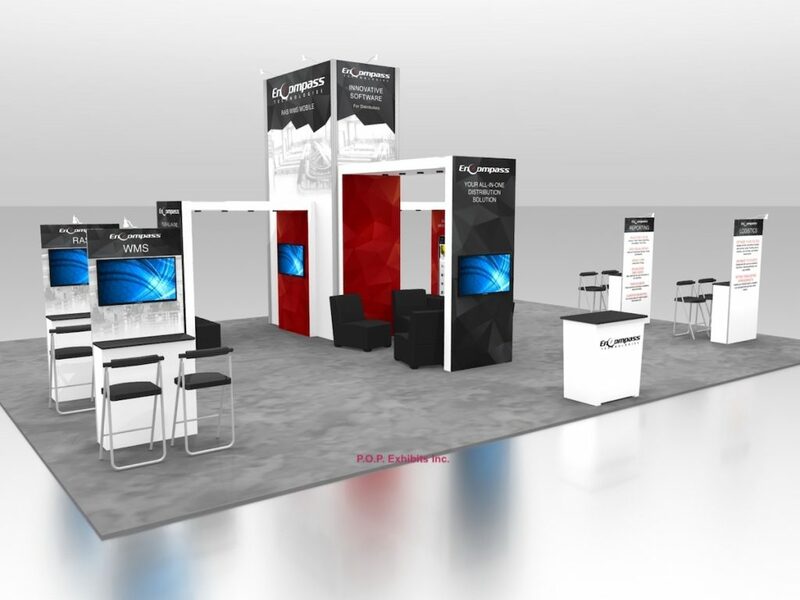 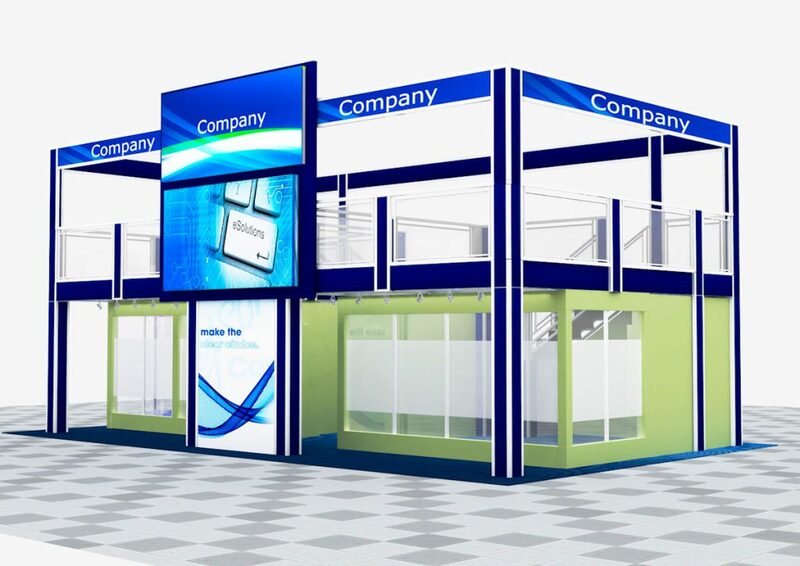 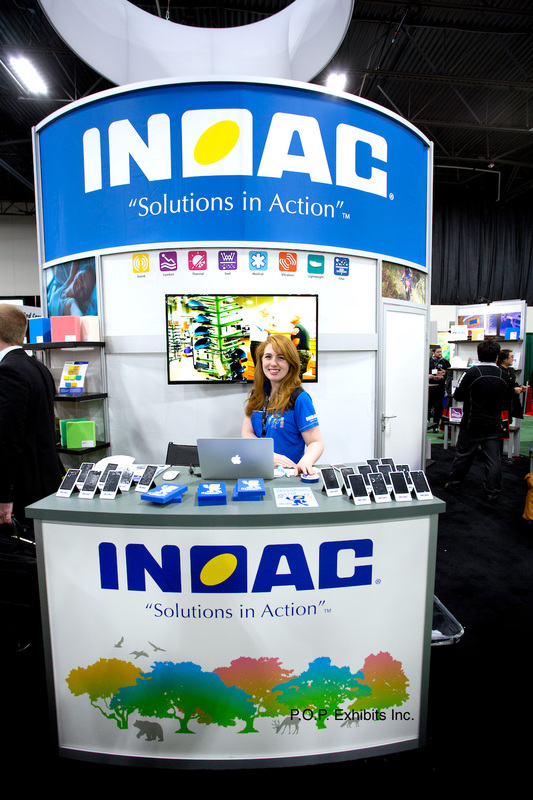 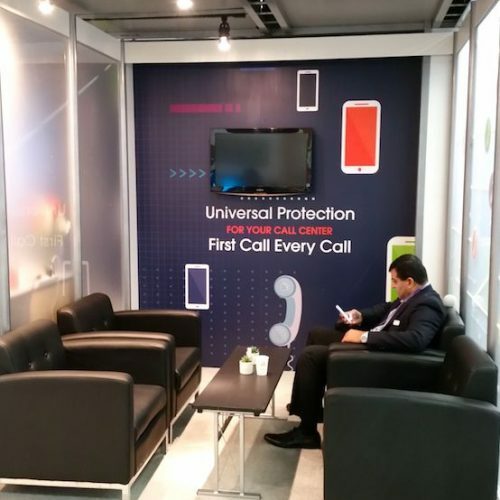 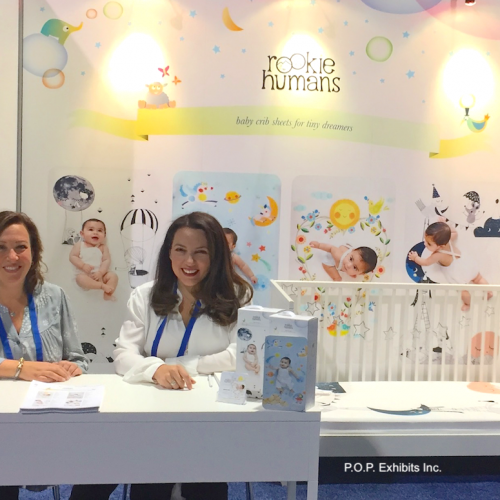 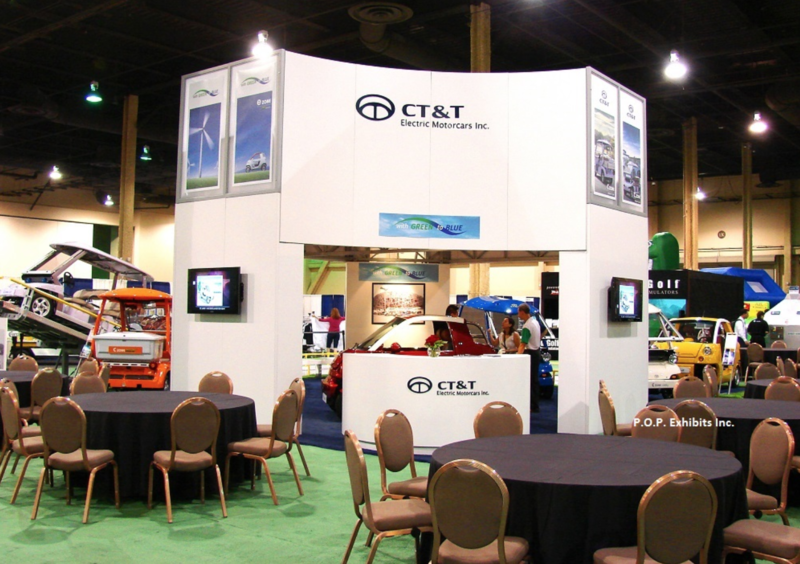 View our pre-designed trade show booth rental kits below. 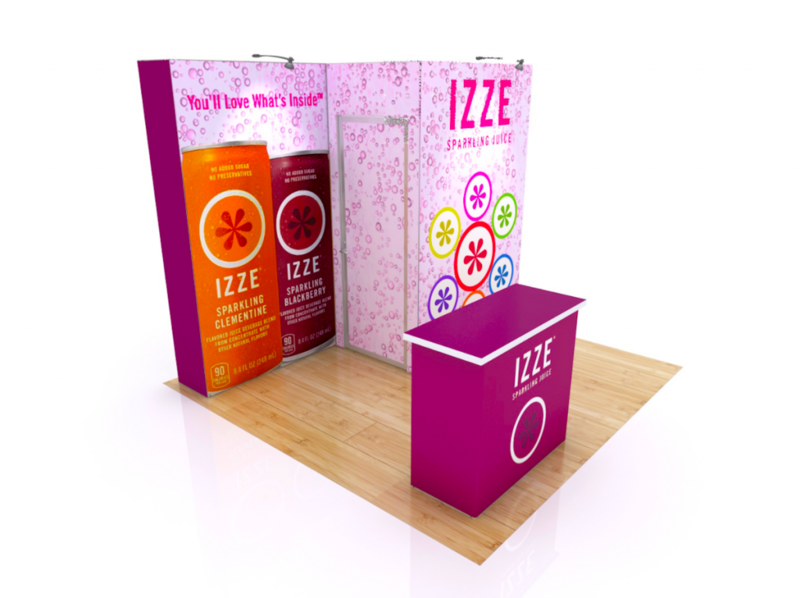 All designs can be customized to suite your needs. 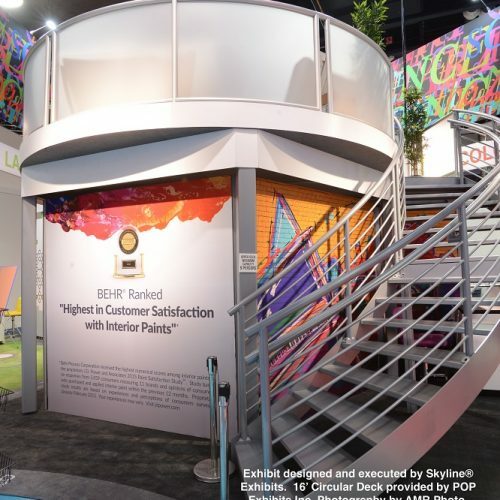 Double Deck Booth Benefits- Let us help!